Why Do Experts Recommend Concrete Sealers on Finished San Antonio Projects? 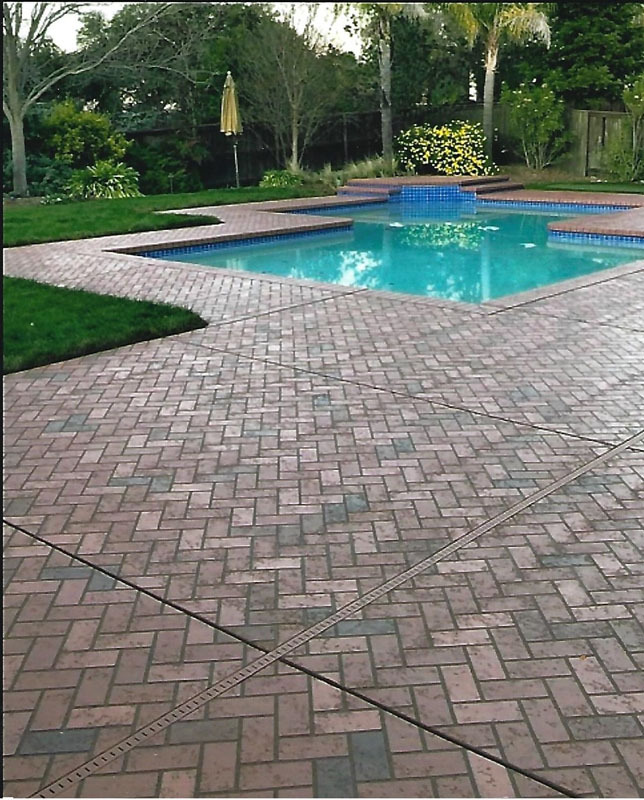 Anyone who has ever had a decorative coating applied, whether to a driveway, pool deck, walkway, patio, inside floor, countertop, or some other surface will tell you that experts highly recommend top-quality concrete sealers for San Antonio projects. This has nothing to do with up-selling, but instead, giving the surface optimal projection. Keep in mind that in addition to suggesting you have a sealer applied, it is important you work with an installer or contractor who uses the best products on the market, such as SunClear and UltraProtect. As mentioned, the primary reason for using sealers is to give the newly finished surface a second layer of protection against elements of the weather, stains, abrasions, impact, hot tire marks, and so on. However, experts recommend concrete sealers for homes and businesses in San Antonio for a variety of additional reasons. As an example, if you opted to have color added to a decorative concrete overlay, the application of a sealer helps to enhance it. In other words, the color you chose now appears even more beautiful than it did on its own. There is even a functional reason why experts recommend concrete sealers for projects in San Antonio. Especially for commercial and industrial site applications, you want a surface that is both durable and long-lasting, two qualities a sealer possesses. That way, the surface remains beautiful to look at, but it also experiences fewer problems with cracking and flaking. Without a sealer, you would struggle with an array of issues. Perhaps one of the more interesting reasons professionals suggest concrete sealers for coatings in San Antonio is that they inhibit the growth of mold. Remember, concrete is a porous material. Therefore, without sealing the surface, moisture seeps into the pores, providing a perfect breeding ground for mold and mildew. Although this helps with outdoor applications, it is essential when having an overlay installed inside. Whether you own or operate a hotel, law firm, talent agency, insurance company, or some other professional organization, it is important to make a good first impression on your clientele. Because the floor accounts for the majority of the space, you want to give it extra attention. An excellent way to help your clients feel welcome and at the same time, make a statement, is by having concrete stain applied to the lobby of your San Antonio business. Although the results of using an acid-based stain like SunStain are already incredible, you might question whether you can have this product customized. The answer is yes. The look that you want to achieve using concrete stain in the lobby of your San Antonio business will determine what a professional installer or contractor does. Keep in mind that with an acid-based stain, you end up with a marbled effect. The reason is that the stain penetrates the pores on the floor’s surface and then reacts to the chemicals in the concrete. Since every concrete slab has unique qualities, the design elements of finished projects are always 100 percent unique. That alone gives you more customization compared to other flooring solutions. However, an installer can also add aggregates to the stain. For this, you have a broad range of possibilities including things like quartz beads, crushed colored glass, small pebbles, and much more. Not only does this give you the custom look that you want, but it also makes the surface slip-resistant. Regardless of your selection, your clients will marvel at the concrete stain on the lobby flooring of your San Antonio building. You also have an abundance of color options. 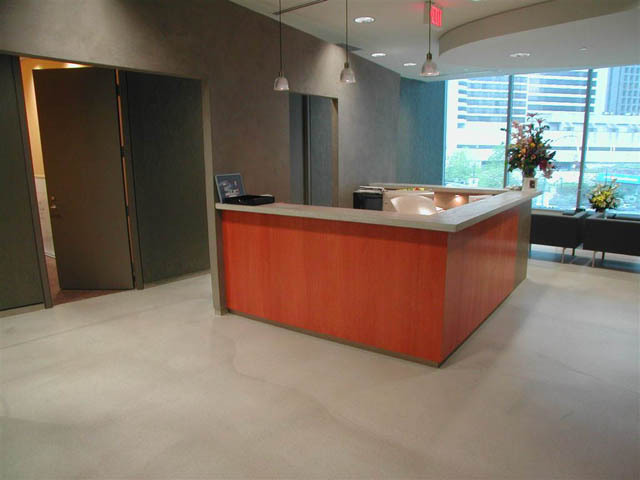 In comparison to the bolder and brighter colors of a water-based stain, an acid-based concrete stain offers warm and sophisticated tones, perfect for a professional San Antonio business. However, an expert can use more than one color if preferred to create a true masterpiece. With a professional marketing firm in San Antonio, you have the unique task of helping companies of varying sizes and industries surpass their competition’s success. Along with some of the more traditional options like using social media, sending out emails, and optimizing websites for search purposes, you should check out the benefits of selecting the right commercial concrete overlay. Your floors, walls, and any outdoor areas make an impression, whether good or bad, on your clients. Thanks to top-quality commercial concrete overlays, you can turn something boring into something extraordinary. In response, your clients see your level of creativity and attention to detail, which prompts them to do business with your San Antonio marketing firm as opposed to another. Therefore, start by considering overlays that will produce the appearance you want. As part of that, you need to look at what different products offer as far as color, texture, pattern, and even the addition of embellishments. The goal is to select an overlay that falls in line with the caliber of clients you serve and the businesses they operate. Also, if you want a commercial concrete overlay with unique personality and character for your San Antonio company, products like SunCanvas and Tuscan are perfect. The reason is that an artisan installs these two products by hand using specialized tools. As a result, you end up with a customized surface that is different from what other marketing firms have. While floors may not be that big of a deal for some businesses, they are when it comes to a graphic design studio. After all, as experts in a specialized field, you want to do everything possible to show your prospective clients your full creative potential. That all starts with what they see the minute they walk in your doors. One way to make a lasting statement is by having stamped concrete floors installed at your San Antonio company. Stamped concrete floors in your San Antonio graphic design studio are perfect for leaving both potential and current clients in awe, but you can also use them as a marketing tool. 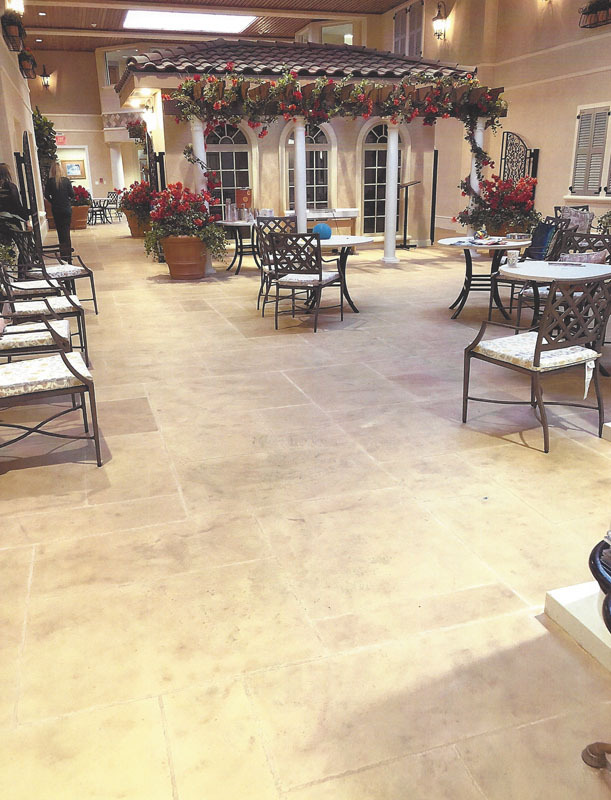 As an example, using a product like SunStamp, a professional installer or contractor with experience working with decorative concrete can make the floors look exactly like brick, wood, flagstone, slate, river rock, and a host of other materials. 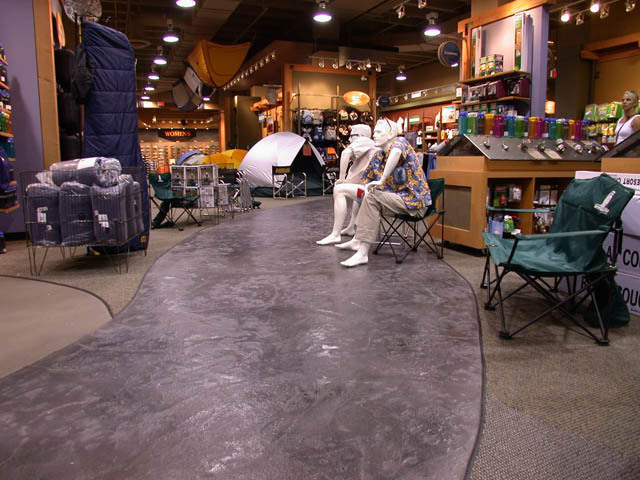 If your studio caters to companies that sell outdoor camping equipment, fishing supplies, hiking backpacks, and other similar products, a stamped floor that looks like wood is ideal. On the other hand, if you have high-end clients, those looking for major advertising solutions for national campaigns, you can take things up a notch with floors that resemble slate. Another exciting aspect of stamped concrete floors is that you can also have a custom design made for your San Antonio graphic design studio. By either working with your concept or relying on an expert, the installer can make mats to produce the exact look you want. Regardless of which direction you take, there is no question your firm will making a lasting impression. One final thing worth noting is that no matter which design you choose for stamped concrete floors, you can spend more time tending to your clients’ needs who visit your San Antonio firm than keeping your floors in pristine condition. Occasional sweeping and damp mopping are all you will have to do. For decorative flooring solutions, people turn to stamped, polished, and stained products. 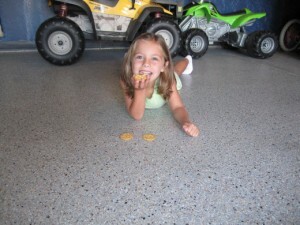 While all viable options, epoxy painted concrete floors are an excellent alternative. For a business like yours in San Antonio, adding chips will completely change how the floors look. Create a more kid-friendly environment at your San Antonio dental office by starting with a polyaspartic product like SunOne. This product cures in a day, meaning you can have the work done during non-business hours. This option is UV stable, resistant to stains and abrasions, and incredibly durable. Then, enhance the appearance of the painted concrete floors using colored chips. For this, a professional installer selects a second product consisting of either flecks or chips. Because each comes in different color options, you would need to determine the right one for your business. For instance, for flecks, you could select Blue Coral, Cinnamon, Shawnee Red, Sky, or Peppermint, all colors that children love. As for chips, you can go with a solid color, like blue, green, red, yellow, or brown, or multiple colors. Regarding the multiple colored chips, some of the better colors to add to the painted concrete floors in your San Antonio dental office include Rare Earth, Independence Blue, and Fire Brick. Although you can transform the look and functionality of all the floors in your business, to make it more kid-friendly, consider creating a special play area, complete with a durable floor designed with vibrantly colored flecks or chips that are coated with rock hard seamless surface for easy cleaning and maintenance.